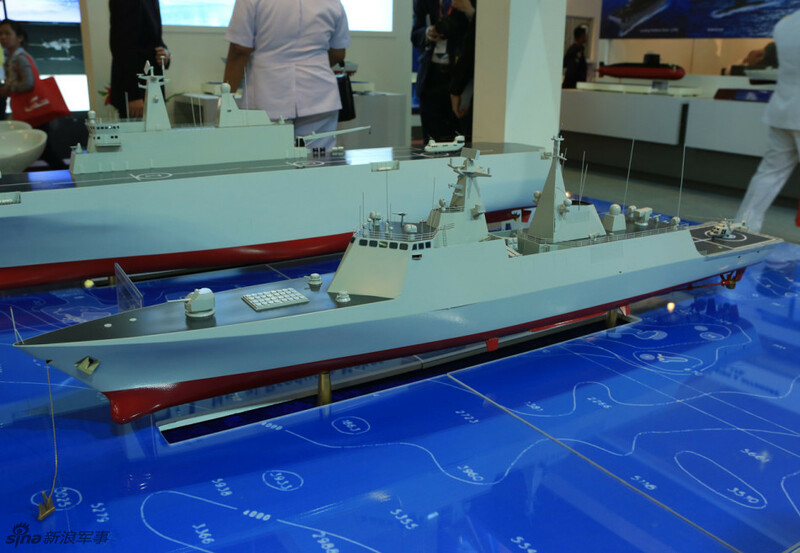 It's based on the Type-054A but designed for the export market. IMHO this is something the PN should seriously look into. 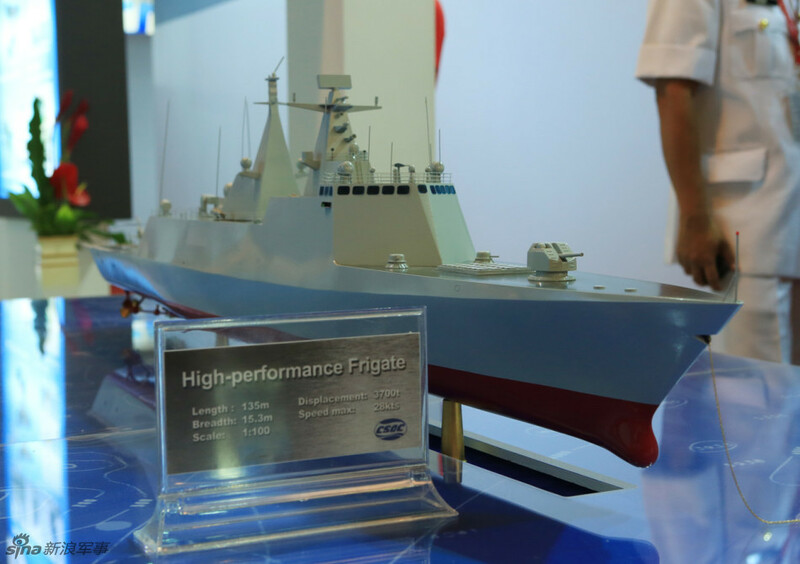 I'm not sure if the availability of this design takes the Type-054A off the export market, but the dimensions of this new frigate seem ideal as far as the PN is concerned. In fact, there is a chance (though slight) that the PN may be looking at this system, or at least something identical. Honestly, forget OHPs or surplus British ships, the PN should gun for 4~8 of these ships. Edited by Saqr, 23 April 2014 - 11:35 PM. Its pretty safe to assume the Pakistani military has advance insight on Chinese weapon system developments, this could very well be the reason why no orders for more upgraded F-22Ps by Pakistan despite an intent to buy. It wouldn't surprise me. 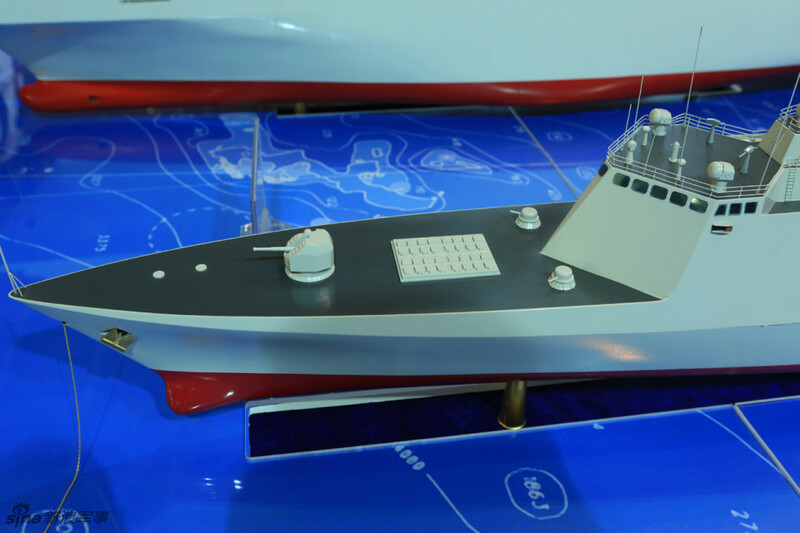 In fact, it may also explain why there's no talk about Type-054A, this frigate seems to be a much better fit for the PN and the Chinese may be offering it for export in place of the Type-054-series. Whatever the issue' PN badly needs a surface vessel capable of being a legitimate defense against aerial threats. I for the life of me cant understand why Pakistan in general has a lackadaisical and nonchalant approach to air defence. Even the land based aor defence systems are woefully lacking when it comes to long range missiles. There is talk that Pakistan inducted fd-2000 or hq9 but I havent actually seen a confirmation about deployment. PN is in much worse shape. As far as ordering this frigate, im not holding my breath. PN was counting on OHPs cuz they would be free, but these would need to be paid for and PN cant even afford more F-22Ps right now. I think a more reasonable solution currently is to put box launchers of hq-16 onto two more Azmat class corvettes and call it a day. The problem with OHPs is that they'll need to be upgraded, and the PN will have to foot the bill for that as well. Either way it'll have to foot the bill for something. As for putting HQ-16 on the Azmat Class, not sure if the Azmat Class has enough room to fit the necessary radar and electronics. They might be able to equip the Azmats with FL-3000N or Umkhonto, maybe. Anyways Pakistan is tight for cash, but there's a reason, and it isn't only the fact that we're tied to corrupt governments. Corruption is a constant in Pakistan and it never stopped the country from buying expensive goods before. Pakistan is stuck in the middle of a protracted war, the longest it's ever been in and it's had a massive impact on the country's finances. I believe we lost $100bn in direct costs and lost opportunities? Truth be told we need to resolve this problem, not prolong it. $1-2bn US in cash each year to spend on various military acquisitions would easily make new frigates, corvettes, submarines, fighters, tanks, armored vehicles, etc a reality. Pair that with an independent foreign policy and willingness to truly expand ties with China, our economy would be flush with investment and exports. Edited by Saqr, 25 April 2014 - 01:10 PM. Well the bigger problem with the ohp are that the us congress wont give the other 3 ships tjat were earmarked for Pakistan. The upgrades of an existing ship are less expensive than buying a brand new ship outright. That being said currently even with china Pakistan is having difficulty paying the little amount it needs to. I think the austarity measures are a good thing so long as they get the economy moving but we shall see if it works. Upgrading the OHPs wasn't going to be cheap. Australia is spending $200mn per OHP, though they are adding Mk.41 with ESSM and SM-2, I don't think new-built frigates from China would run past $350mn per ship, but at least it has a new hull. Edited by Saqr, 01 May 2014 - 08:41 PM.